It’s bug bite season: How can you protect yourself? Ticks, mosquitos, chiggers — oh my! With the arrival of summer comes more time spent outdoors…and more exposure to insects. How can you protect yourself against the dreaded bug bite? How to fend off bug bites — and what to do if you get one — varies based on the type of insect involved. And beyond those pesky biters, there are also stinging insects to consider. Let’s take a look at some of the most common insects in the Chattanooga area. Ticks have been in the news since spring — for good reason. This year, researchers uncovered a new tick-borne virus among ticks in the Hudson Valley. This condition, called Powassan virus, causes a variety of symptoms varying in severity, including headaches, vomiting and even brain inflammation. Beyond Powassan virus, ticks have also been in the news for causing “tick paralysis,” which causes temporary paralysis. Apply an EPA-registered insect repellent before heading outdoors, particularly into grassy, brushy or forested areas. When returning indoors, check everything for ticks. That includes your own body (especially the scalp and any crevices, like the ears), the body of pets, and clothing and gear. If you find a tick, your next steps are particularly important. Remove the tick using the CDC’s guidelines for tick removal to ensure the entire tick is removed. There are few things more annoying than sitting outside and having a mosquito make himself at home on your skin. Beyond the annoyance, though, mosquito bites can also be dangerous. Mosquitos were in the news the last couple years due to the Zika virus, but they can also transmit other diseases. 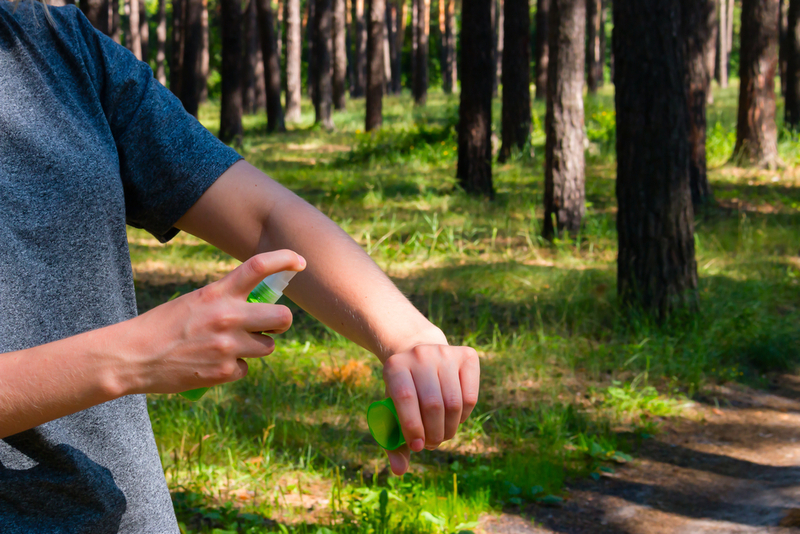 Protect yourself from mosquito bites by applying an insect repellent before going outdoors, wearing long-sleeved shirts and pants when headed into a wooded area, and using products that fend off mosquitos when sitting outdoors. You should also regularly clean out areas around your home where water often pools. If you’re bitten by a mosquito, you can ease the itchiness by applying a topical cream like hydrocortisone and taking an antihistamine. Unless you’ve grown up in the south, you might presume this insect’s bite to be a regular old mosquito. But they’re different creatures. Chiggers are tiny wingless larvae that grow into a type of mite. They’re commonly found in tall grass and weeds, as well as in the woods. So if you’ve ever been walking through grass and emerged with a slew of bites around your ankles, chiggers were probably the culprit! Chiggers cling to skin and inject their saliva into it, allowing them to feed off a person’s skin. They can stay attached for several days before falling off. While the bug bites themselves are painless, they will cause severe itching and a rash may develop, particularly on skin exposed to the sun. You treat a chigger bite just as you would a mosquito bite — apply a topical cream and take an antihistamine. Insect repellent is your best defense against these pesky creatures. While chiggers are annoying, they do not carry disease. While there are plenty of bugs out and about in the summer that bite, there are also some that sting. When you’re outdoors in the summer with food, particularly sweet items like soda or ice pops, you may find yourself greeted by a bee or wasp. A sting will typically cause sharp, instant pain and will develop into a red welt on the skin. If you’re stung by a bee, the first step is to remove the stinger using tweezers. Then wash the area to remove the venom. You can also alleviate the discomfort using a cold pack and an OTC pain reliever. For a wasp sting, wash the area and then wrap it for 20 minutes to reduce swelling and discomfort. If you are allergic to either wasps or bees, take the appropriate steps as prescribed by your doctor to limit the effects of the allergic reaction. Have a bug bite or other minor condition that needs medical attention? We’re pleased to introduce Erlanger OnDemand, which brings a doctor to you by video or phone 24 hours a day, seven days a week, for $49 per visit.